What is your Highest Truth? 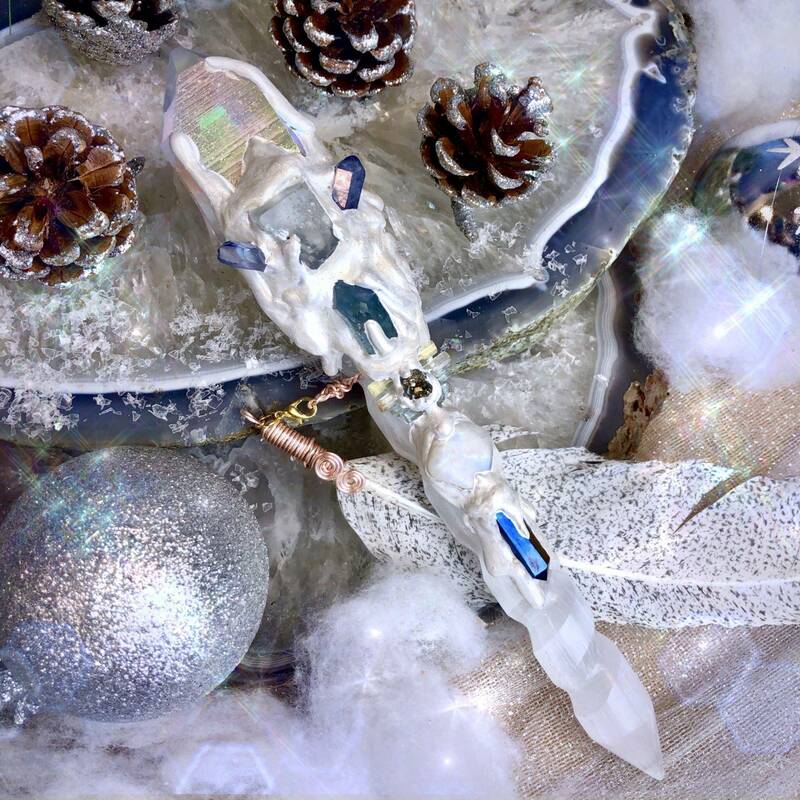 Well, no one knows better than you – and these Highest Truth Cobalt Aura Quartz and Selenite Wands are here to attune you to your own wisdom. 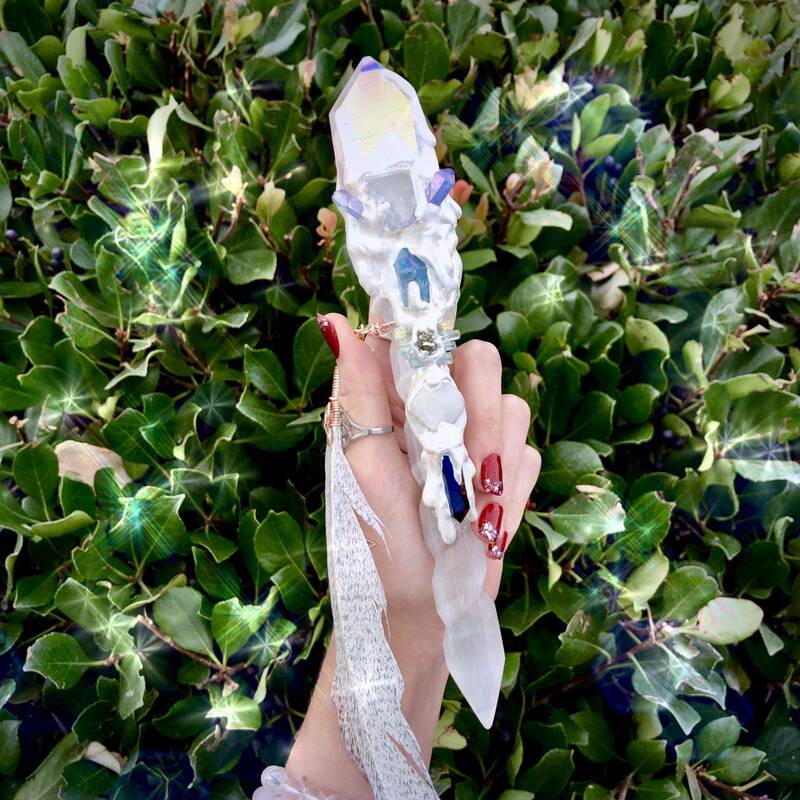 Custom-made by hand right here at SG Headquarters, these wands feature double-terminated cobalt aura quartz and a stunning spiral piece of selenite. Their energy is soft yet majestic and fierce, and working with them is a powerful way to unlock your inner knowing and connect with your best self. Cobalt aura quartz gets its brilliant color when quartz is combined with cobalt, placed in a vacuum, and then charged electrostatically with high heat. This process changes the stone’s appearance and essence forever. Cobalt aura quartz is a potent spirit-lifter. It brings a deep sense of peace, connects you with your innermost truth, and guides you in understanding and sharing the divine messages you receive. Selenite is known as the happiness stone. This gypsum gem is peaceful and gentle, yet potent and strong. Low frequencies naturally rise in the vibrational presence of selenite. As it purifies the energy in a space and attunes you to the Greater Good of all beings, it also connects you to the consciousness of your Higher Self. 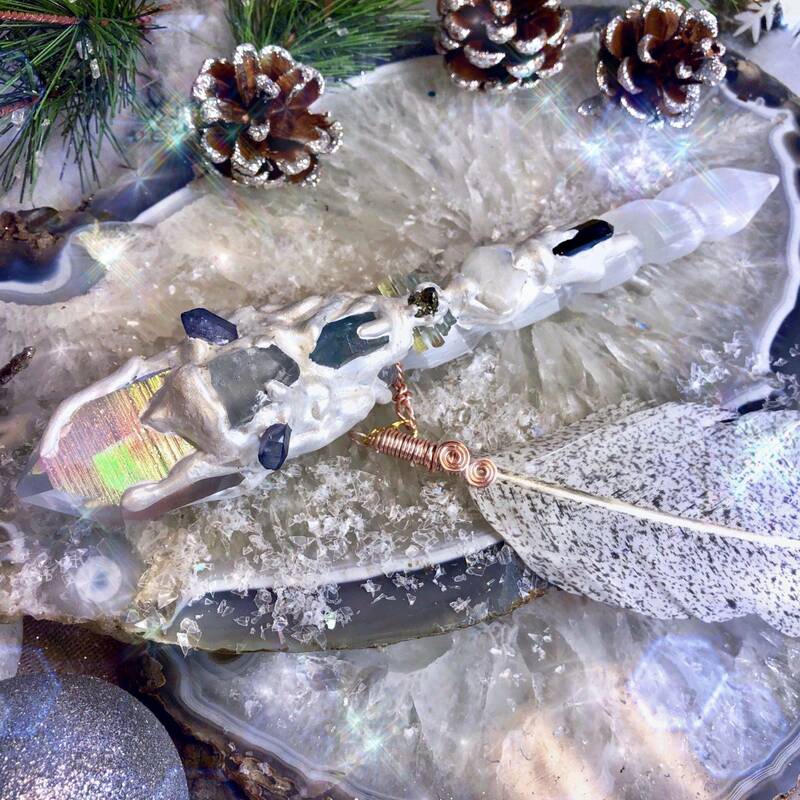 Hold your Highest Truth Cobalt Aura Quartz and Selenite Wand in meditation or simply place it on your altar to begin harnessing its sublime magic. When working with yours, trust your intuition – it will not lead you astray. 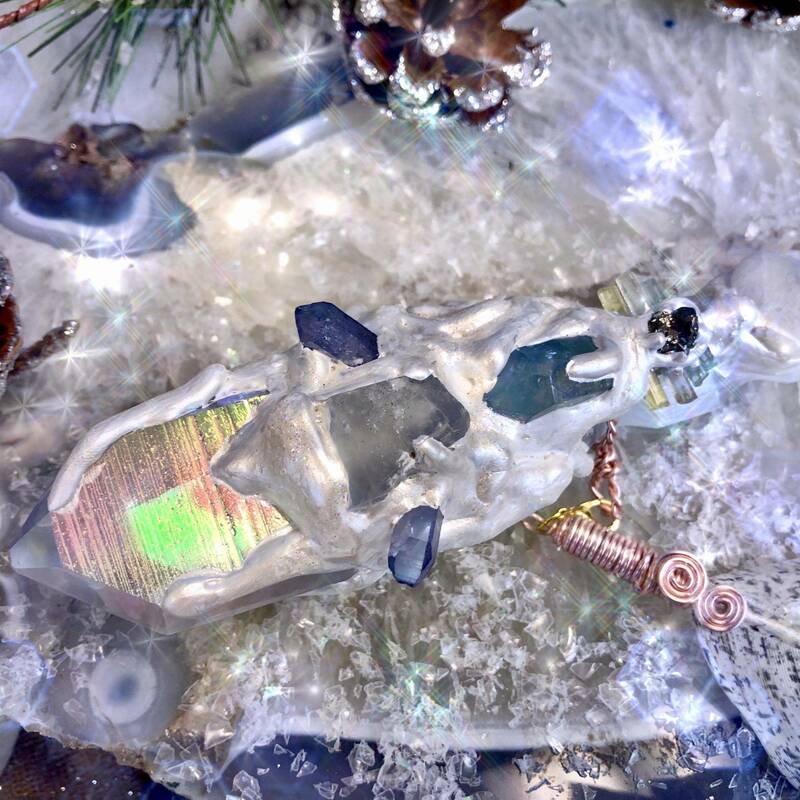 This listing is for one (1) Highest Truth Cobalt Aura Quartz and Selenite Wand. Yours will arrive lovingly parceled along with a single leaf of white sage and cards describing the properties of the stones.